This video is part of the AmericaView eCognition software tutorial series. It explains a work flow known as "Overlapping Tile Processing." 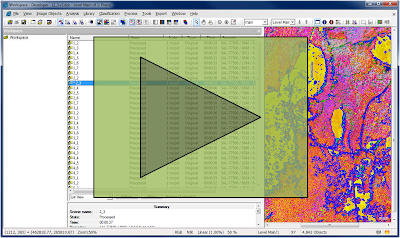 Overlapping tile processing is an efficient method for processing very large datasets using eCognition Server. It is one way of overcoming the memory limitations that are inherent to object-based image analysis. This presentation is recommended for intermediate to advanced users of eCognition.